Black Eyed Bean is also known as lobia. This is a basic recipe, easy to prepare and very nutritious, very delicious and protein rich. Wash and soak beans for two, three hours. Heat the oil in pressure cooker on medium heat add cumin seeds crackle add onions. Fry the onions till light golden brown in colour. Add the ginger, green chili paste, coriander powder, turmeric, and fry it for few seconds , add tomato puree, salt and cook on low flame for 8-10 minutes. Add Lobia / black eyed beans/Cow peas and water close the pressure cooker. On high flame as pressure is formed turn the heat down to low and cook for 20 minutes. Turn off the stove and wait until pressure has come down, open the pressure cooker lid. Black-eyed beans should be soft and tender. Serve hot, garnished with fresh coriander leaves. Accompaniments any Indian bread of your choice or boiled white rice and potato Raita. Note:Sour tomatoes give best results. Lobia / black eyed beans/Cow peas are well known because of their capability to reduce the plasma cholesterol within your body. This really is aided by them being recognized like an excellent method of obtaining proteins as well as dietary fibers, and it has a comparatively lower glycemic index. Should the cholesterol level of the body just isn’t managed to the beneficial value, it might lead to serious side effects. This particular creamy white bean having a black eye is additionally recognized because of its function as high quality anti-oxidant. All of the types of Lobia / black eyed beans/Cow peas which include red, black and light brown ones, all are abundant with anti-oxidant qualities. The anti-oxidation property also guarantees curbing of the cancerous cells within the body. 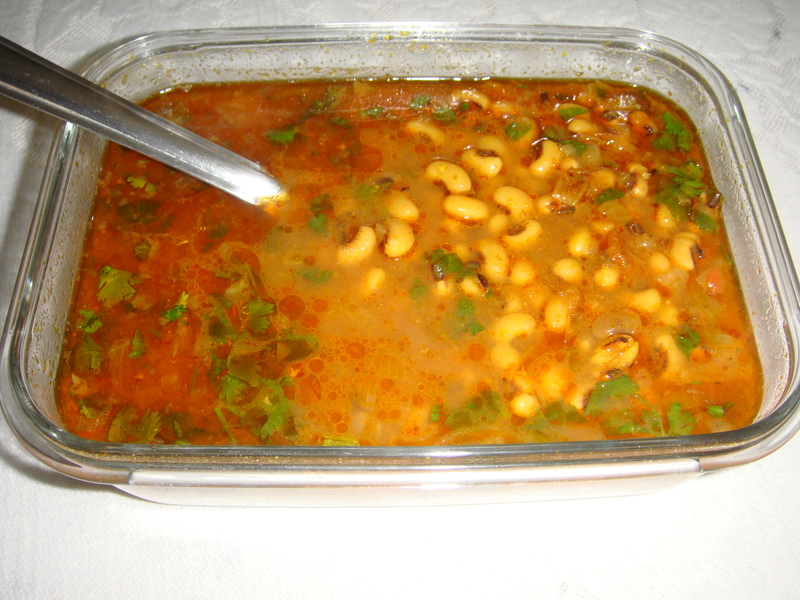 Lobia / black eyed beans/Cow peas can verify as a good accessory for the weight loss diets due to various reasons. First it features a reduced power of sodium within it and therefore retains an ideal health level. Next this particular vegetable will become the reason behind minimal fat consumption and also resultantly aids weight reduction. Last although not the least, it includes totally no cholesterol, and therefore is advantageous for the heart too. Apart from the outlined health advantages, additionally it is verified to be effective at assisting diabetic problems. The fiber content of the veggie is both higher and in addition has become soluble, as a result it helps the body in subordinating the chance of diabetes. Flavonoids contained in Lobia / black eyed beans/Cow peas also defend against cardio vascular conditions. This particular veggie is well known because of its optimistic effect of dealing with problems associated with the stomach, pancreas as well as spleen. In addition it has been confirmed to be useful in reducing blockages or even discomfort related to urination problems. Additionally, it calms the working of bowel in your body. Lobia / black eyed beans/Cow peas really are a low-fat as well as low-calorie food items, which makes them a nutritious accessory for a weight-loss diet plan. Canned types differ in content, yet a 1/2 cup of black-eyed peas is usually lower than 100 calories and has about 1 g of fat. A diet which is lower in fat and calories can help you slim down, avoids putting on weight and safeguards you from numerous health problems, which includes cardiovascular disease, diabetes and also depressive disorders. Awesome. Very simple to cook but results are v good !